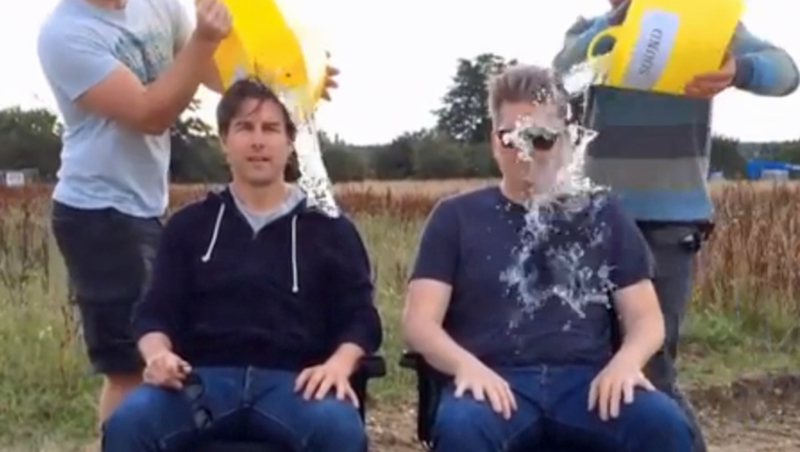 As the donations keep pouring in, so, too, do the number of celebrities accepting the ALS Ice Bucket Challenge. Like the rest of the world, Hollywood has been gripped lately by the recent online craze, which aims to increase public awareness while raising funds to help combat the debilitating amyotrophic lateral sclerosis (ALS), often referred to as Lou Gehrig's disease. There's been debate by some about the effectiveness of the charitable campaign, but the numbers tend to shed some light on the cause's impact. The ALS Association says it has received nearly $23 million in public donations over the last three weeks because of the challenge. The association received just $1.9 million during the same period last year. "Our top priority right now is acknowledging all the gifts made by donors to the ALS Association," said Barbara Newhouse, President and CEO of The ALS Association, in a statement to the press. "We want to be the best stewards of this incredible influx of support. To do that, we need to be strategic in our decision making as to how the funds will be spent so that when people look back on this event in ten and twenty years, the Ice Bucket Challenge will be seen as a real game-changer for ALS," she added. Undoubtedly, endorsements from stars like Tom Cruise have helped add to the cause. One-time heads of state haven't been able to resist the challenge. Former President George W. Bush was doused by wife and former first lady Laura Bush, before writing out a check for an untold sum to the ALS Association. Bush also encouraged his presidential predecessor Bill Clinton to take the challenge. We'll see if he accepts. Find out more about the ALS Association here.